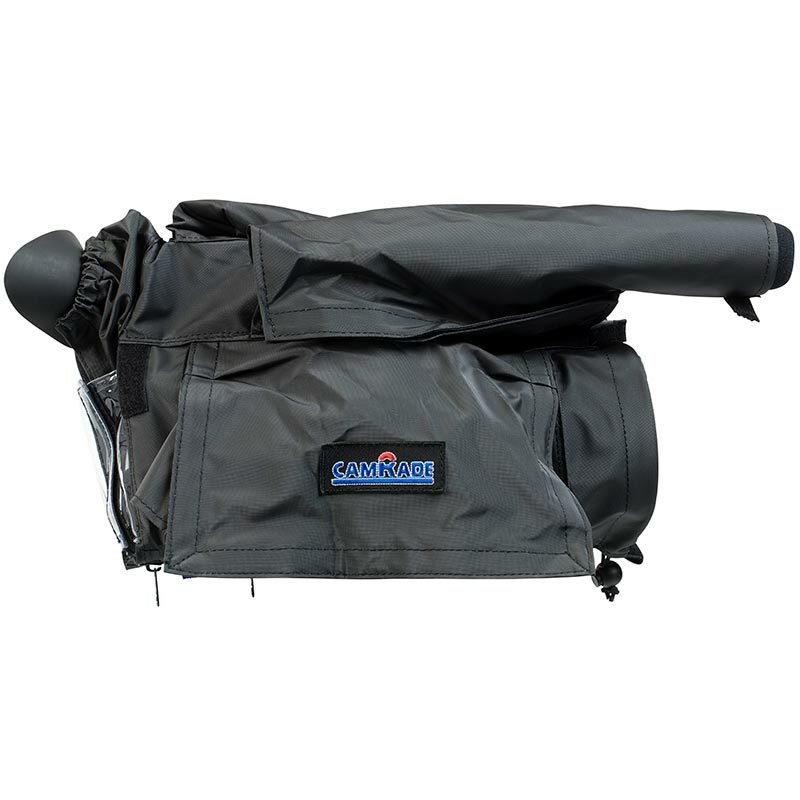 The rain cover is designed specifically for the Sony HXRNX5R camcorder. 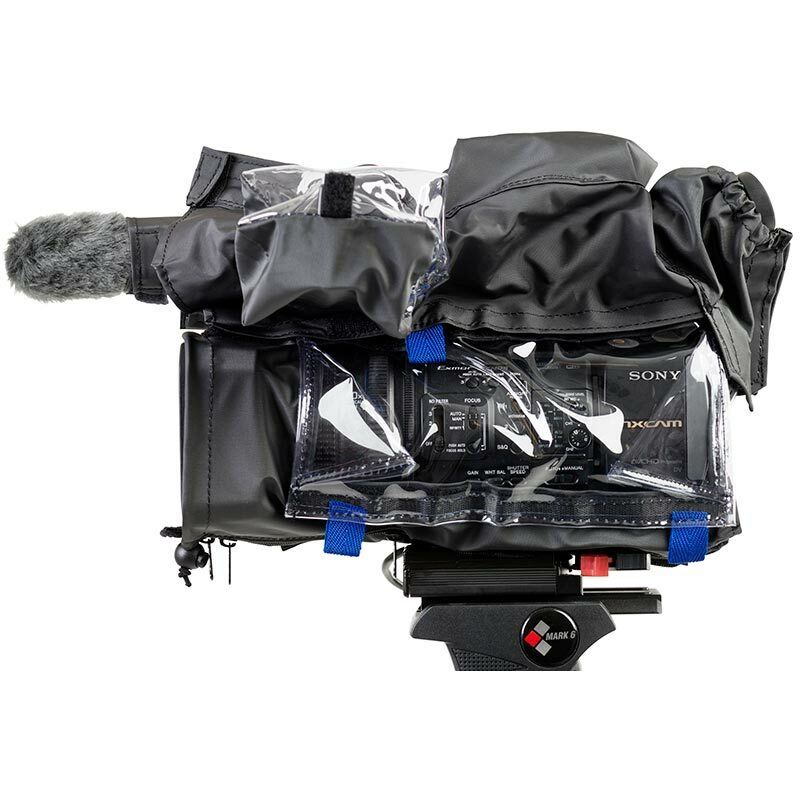 The near silent fabric minimalizes unwanted sound effects caused by wind and rain and reduces the chance of the camera overheating by allowing hot air to escape via the breathing material which the cover is made of. The wetSuit has clear vinyl windows for visibility when adjusting the menu, audio input select level or other controls. 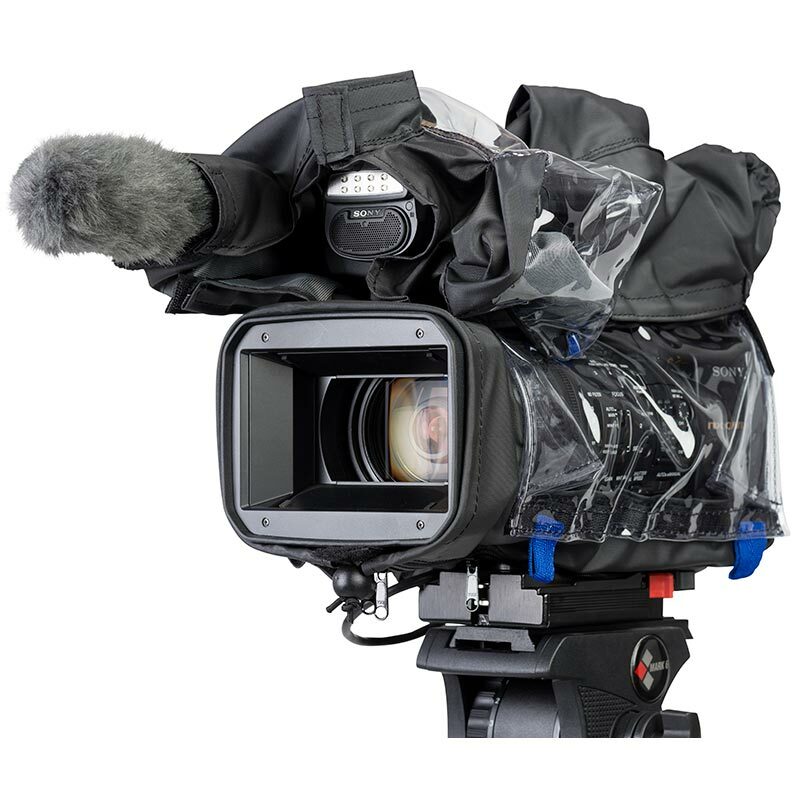 The viewfinder monitor is completely closed off by the fabric and vinyl window, so no water will come into the suit during use.